Capital Acquisitions Tax (CAT) is also known as Inheritance Tax in Ireland or also Gift Tax. This is a tax that is charged on money or property that is gifted to, or inherited by someone. This tax applies to all property that is located in Ireland. CAT also applies where the property is not located in Ireland but either the person giving the benefit or the person receiving it are resident or ordinarily resident in Ireland for tax purposes. The current rate (2019) of inheritance tax or CAT in Ireland is 33% – (it has been this since Dec 2012) . Inheritances or gifts under certain thresholds are tax free. There are 3 different threshold levels (groups) depending on the relationship between the recipient and the donor (disponer) of the gift or inheritance. The group thresholds were increased in Budget 2019 – the threshold levels below are valid from October 10th 2018 onwards . minor child of a deceased child of the disponer (donor). Parents also fall within this threshold where they take an absolute inheritance (full and complete ownership) from a child. (not a gift) and the (II) the inheritance is taken on the death of the child. Otherwise parents fall in to Cat B.
lineal ancestor or lineal descendant of the disponer (eg grandchild). Group C : tax free threshold is €16,250 and it applies in all other cases. Example 2 : Two children inherit a house worth €800,000 . The total inheritance tax threshold for both children is €320,000 times two ( €640,000). With 33% tax on the remaining €160,000 house value, this would result in an inheritance tax bill of €52,800 in total or €26,400 per child. Inheritance tax can sometimes result in relatives who inherit property having to sell the property to pay the inheritance tax. All Gifts or inheritances from a spouse or civil partner are exempt from this tax . 3. Parents taking an absolute inheritance (full ownership ) from a child have a Group A threshold. However, if the child took a non-exempt gift or inheritance from either parent in the previous five years, any inheritance taken by a parent from that child is exempt. Example :Philip receives a gift of £10,000 from his mother in 1999. Philip dies in 2002 and leaves his entire estate i.e. £1,000,000 to his father. The inheritance taken by the father is exempt. Payment of CAT : If you have received a gift or inheritance, then you are responsible for paying any Capital Acquisitions Tax that is due. If you are not resident in Ireland, you must get an agent who is resident in Ireland, such as a solicitor, to take responsibility for the payment of CAT. All gifts and inheritances with a valuation date in the 12-month period ending on the 31 August must be paid and filed by 31st October of that year. Lifetime Thresholds: You pay CAT on the total of all the gifts or inheritances that you have received throughout your lifetime. To calculate the CAT on the latest benefit or inheritance , you need to add all inheritances or gifts received under the same group threshold from 5 December 1991. So for example – if a nephew got a €22,500 inheritance in 2002 – then they still have €10,000 of the €32,500 threshold left. Then if the nephew gets a €20,000 inheritance from another uncle in 2020 – the “left over” €10,000 from the first inheritance will apply and the tax will only be charged on €10,000 of the €20,000. The rate of inheritance tax in the UK is 40% on anything above a £325,000 threshold . But – the threshold doubles to £650,000 for a married couple – as long as the first person to die leaves their entire estate to their partner. The total inheritance tax threshold is £950,000 – so there is no inheritance tax bill. A similar situation in Ireland (see above) on a €800,000 house – would result in an inheritance tax bill of €52,800 in total or €26,400 per child. Why? can our government not make a decent threshold on CAT when a parent passes on the family home to a son or daughter. The English went a done the property inheritance in a proper manner. Take a daughter, living in Council house, on social welfare,she is left a house valued at 360,000, her parents and herself have no big savings, she would be in no financial position to one third of remaining 80,000 that would take her over the threshold of 280,000. Is the CAT Group B allowance of 32500 a lifetime allowance or for a single cat from one relative? You pay CAT on the total of all the gifts or inheritances that you have received throughout your lifetime. So for example – if you get a 22500 inheritance in 2018 – then you have 10000 of the 32500 threshold left. Then if you get a 20000 inheritance in 2020 – the “left over” 10000 from the first inheritance will apply and the tax will only be charged on 10000 of the 20000. Thanks for asking – we will update teh article to make it clearer . What would be the inheritance tax on a house ,owned by my brother, never married, no children and I am his only sister? 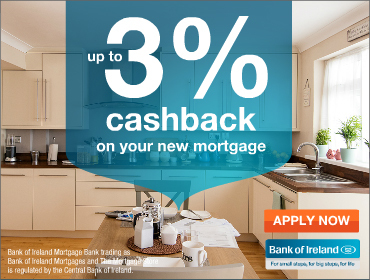 33% on anything over €32,500. So- if the house was valued at €232,500 – tax would be charged on 200,00 at 33% . This would be €66,000 . I think Revenue need to answer your question. But – maybe it should be entered in Part 7 line 13 ?